I have two new Ruger MKIII 22/45 mags , one NIB and one that has been tuned for 100% reliability and has the extended base, i also have a ultimate mag loader sold by tandenkross that loads a mag in seconds and a tandemkross eagle claw extractor the factory one sometimes gets bad and you get failure to extract, easy to change tamdemkross has videos on doing it, here is a link to the site and the loader. 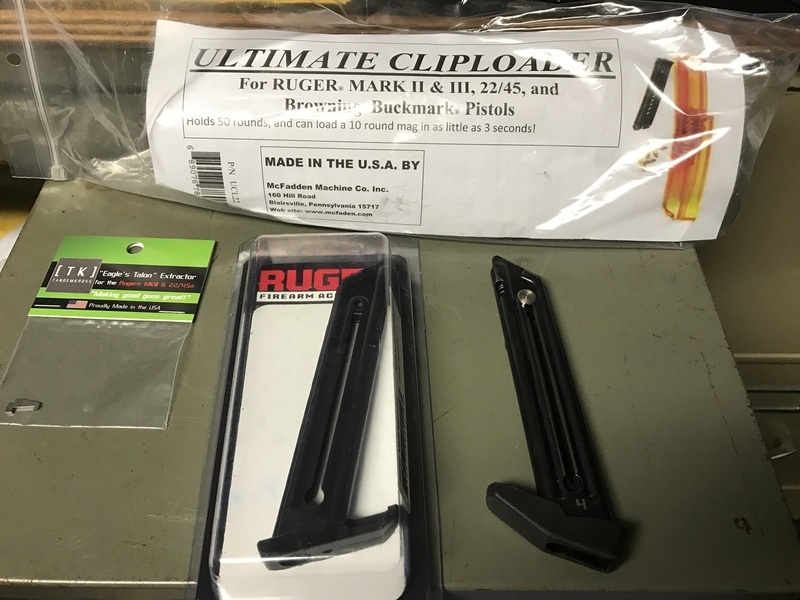 McFadden Ultimate Cliploader Ruger Mark II/III 60 bucks for all inc shipping or 45.00 for just the two mags. contact me at hwy92gun@bellsouth.net if interested.